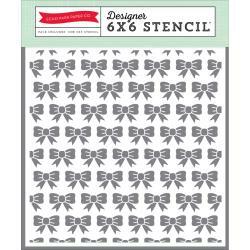 This 6"x 6" Stencil has rows of Bows throughout. If you're a Kate Spade Fan ... I say its a must have in the tool box. Bring out your favorite Inks, Paints, Mist, Markers, etc. Product by Echo Park.